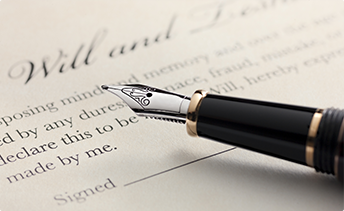 Estate and Trust Administration We represent executors and trustees in their administration of estates and trusts. Our clients include family members who have no prior experience with fiduciary roles and, at the other extreme, the largest trust companies in the country that manage thousands of trust relationships. Our work for these fiduciaries includes probating wills, assistance with the collection and valuation of assets, compliance with probate, estate and trust laws, preparation or review of income and estate or inheritance tax returns, special legal issues that arise during the course of estate or trust administration, and proceedings at the end of estate or trust administration to discharge the fiduciaries from liability.